SariNotSorry - Sari Superfood, that is - Spirulina, Nutritional Yeast, and Vitamin C! Growing up, my mom was a pill-pusher. Of vitamins. Every night after supper, I would be forced to take a handful of different pills, from Vitamin B to Zinc. So, of course, as an adult, it's a struggle for me to take even a multi-vitamin. 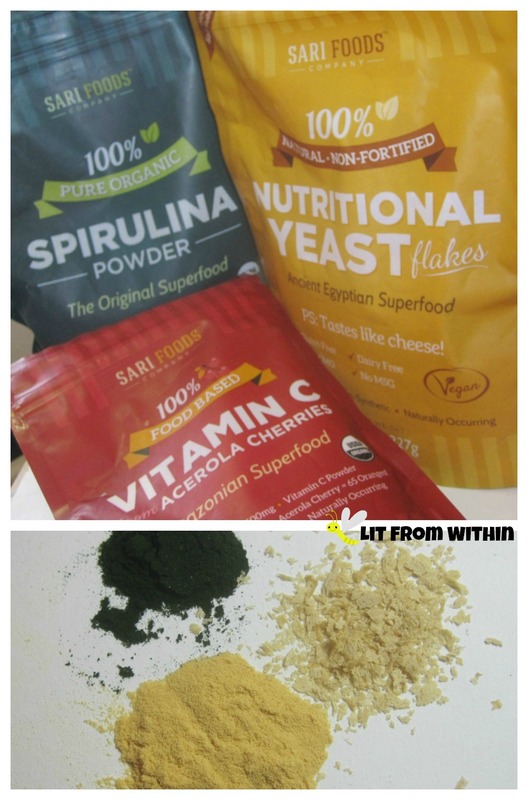 Given the chance to try nutritionally dense superfoods like Spirulina, Nutritional Yeast, and Vitamin C powder from Sari Foods, I accepted quickly, because I know I don't get all the nutrition I need - and there are no pills or synthetic chemicals involved in these superfoods! Growing up in the 1970's meant that all the personalized products I saw were for girls named Jennifer and Katherine - I never saw my name on anything! As an older woman, I still feel pretty unique in that department, and even as a woman with aging skin that's still oily and prone to breakouts, I still feel like my skincare needs are fairly specialized, and not just anything off the shelf will do. With Vain Pursuits, I get fulfill the needs of both that little girl I was and the older woman I am! Win/Win! 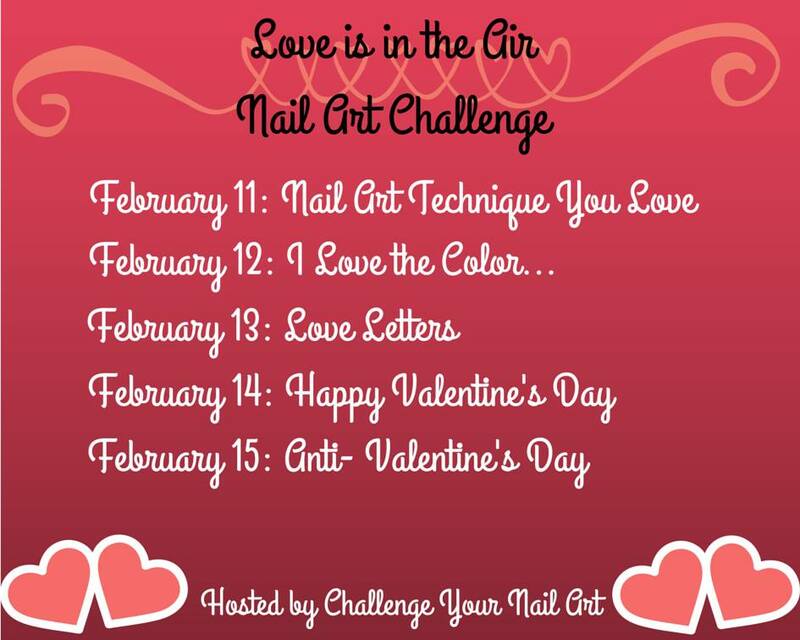 Today's the last round of this month's 'Animal' challenge from the Nail Challenge Collaborative! I decided to base this nail art on some Swan charms I found online and just loved, and I found the perfect glitter to go with them. I love nail polish, and have way too many bottles to count and not be embarrassed. Still, when something interesting gets my attention, I have no shame in adding it to my collection! Play Love Laugh Natural Peel Off Nail Polishes are made with ingredients from fruits and veggies, and are safe for everyone - even babies and dogs. It's almost the end of the month, and I haven't done all 4 of my NCC posts yet! Today is #3 in the 'animal' challenge. I haven't really played around with animal prints too much, but today I make a leopard print two ways. Did you ever hear, 'Boys don't make passes at girls who wear glasses"? 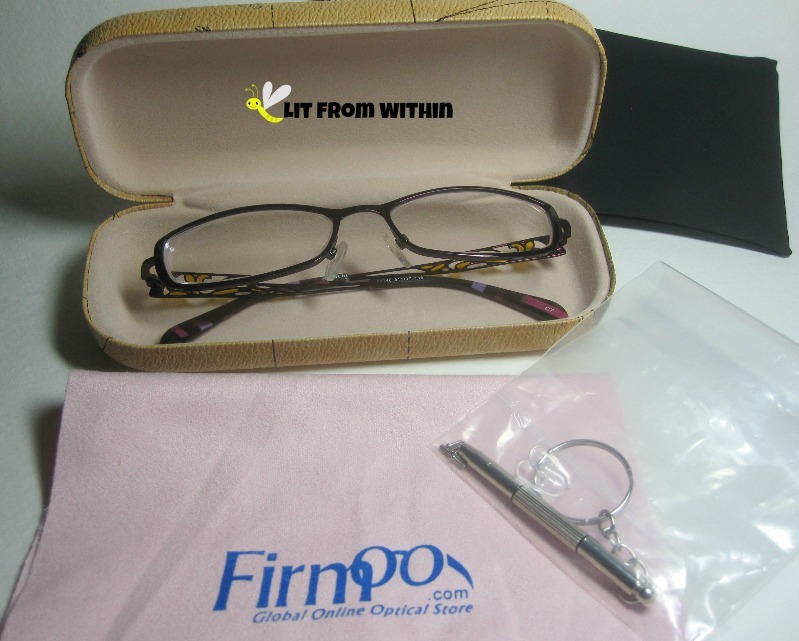 Well, it's not true, and even more so when you're wearing glasses that are as pretty as the ones I got from Firmoo.com. I've been wearing glasses since I was around 7, and had never ordered them online before. There's a bit of a learning curve, but it was much easier than I thought it would be! Today's Sunday Stamping challenge was a choice, and mine was to let my 'Alter Ego' take a crack at stamping and do something that I wouldn't normally do. I didn't go too crazy, but this definitely isn't something I reach for that often! Have you been enjoying this season's award shows? Sunday is the big 'un, the Oscars! 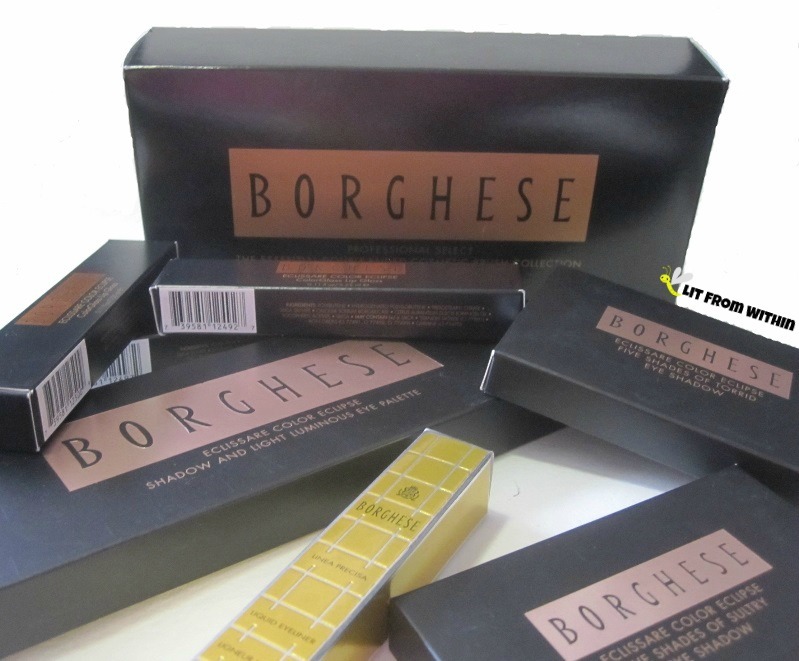 Borghese sent me a few little treats to help me get Couch Ready Red Carpet-Ready! This month's challenge is animals. I did a cute puppy stamping mani with a little tribute to my heart dog, Goliath, for the first mani, but today's mani features a very different animal Animal. As chilly and dry as it's been in Florida, I can't even imagine the cold everywhere else. I mean, I grew up in Virginia and lived in the Midwest for awhile, so I know snow. But it seems that this year has been something special. When the weather makes my skin dry and crack, I know it's time for richer creams. 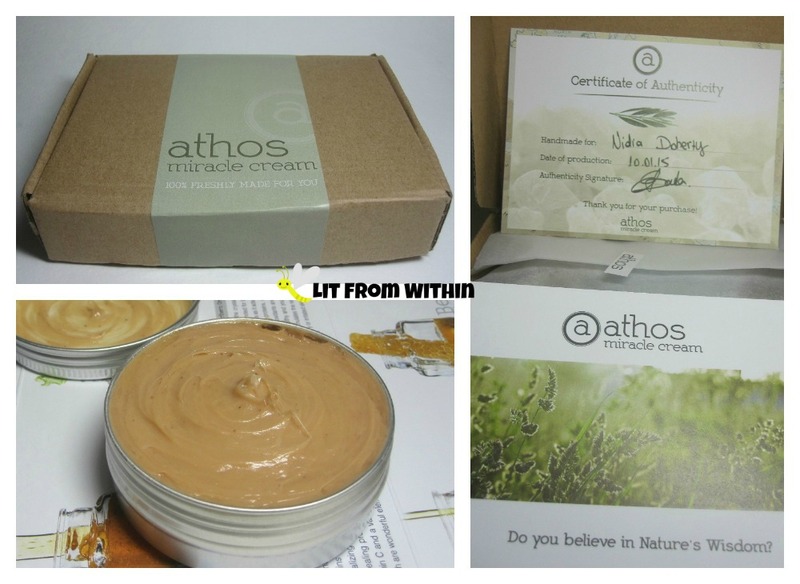 This year, I'm getting to try something a bit different - Athos Miracle cream. Even though I have oily skin, I didn't know about blotting paper until only a few years ago. 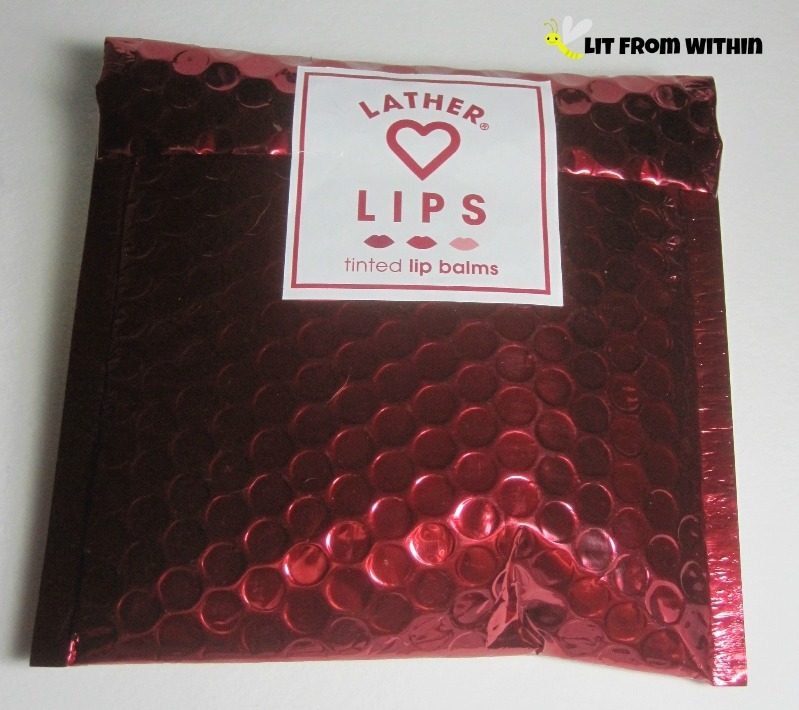 I tried a few different kinds - ones infused with fragrance, store brand, ones with makeup on them.. but none of them are as good as these made by Day by Day. 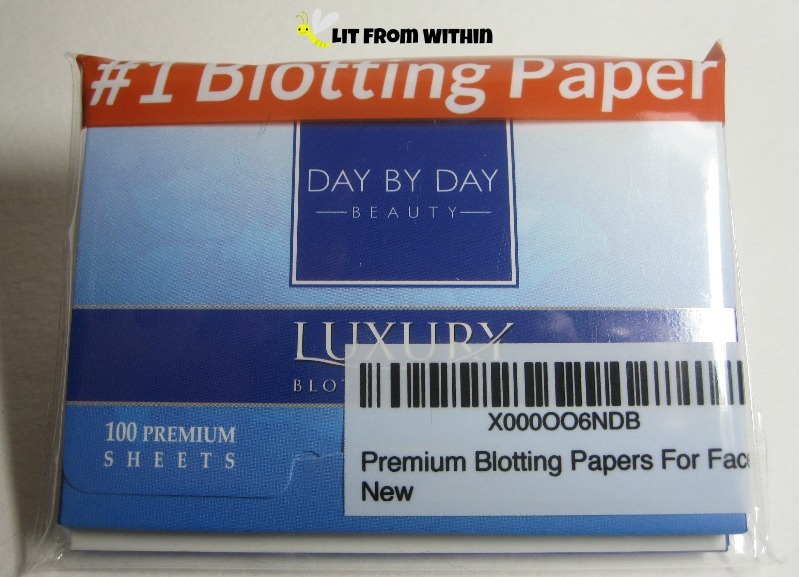 The packaging says #1 blotting paper, and I believe it! Radha (pronounced 'rada') means "Beauty Goddess." Now, I believe that we are all 'beauty goddesses' already, which is why I address my readers as 'Fireflies' - we are all lit from within, like a firefly. We all carry our beauty within us, glowing. Sometimes, I need a little help getting my beauty going on on the outside, though. 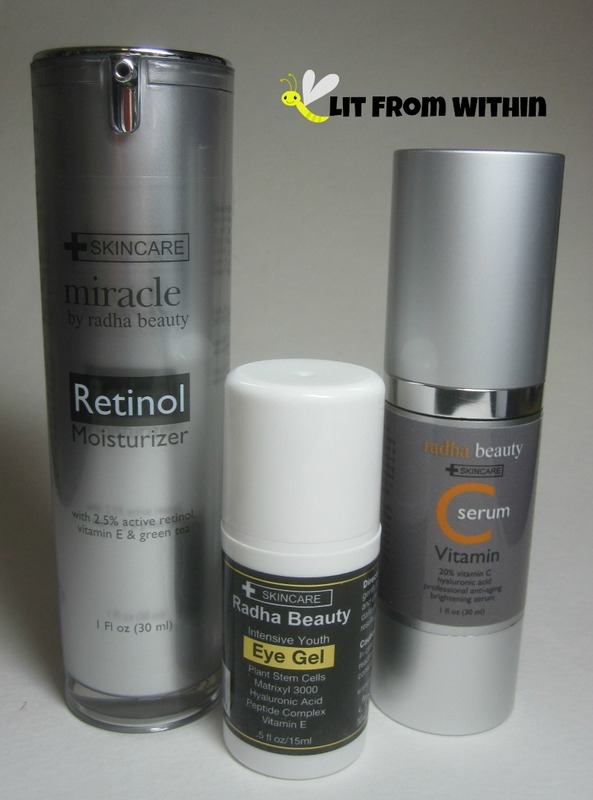 So I've been using this trio of skincare products from Radha, for a little help. Today is Valentines' Day, the day all about hearts and love. I think it's a Hallmark Holiday that only served to make me feel miserable when I was single, and to drive up the price of flowers and chocolate. But, I like having an excuse to do heart nail art, so here we go! When I was thinking about today's challenge, Love Letters, I kept coming back to the idea of actions being stronger than words. The love 'letters' I'm going to show you are the letters I create with nail polish for some of the people I love. Today's challenge is about the color I love. Well, my favorite color is midnight blue, but it's hard to find a perfect midnight blue polish that doesn't go too black. Plus, it doesn't really say 'Valentine's' to me. So, I picked my husband's favorite color, purple. 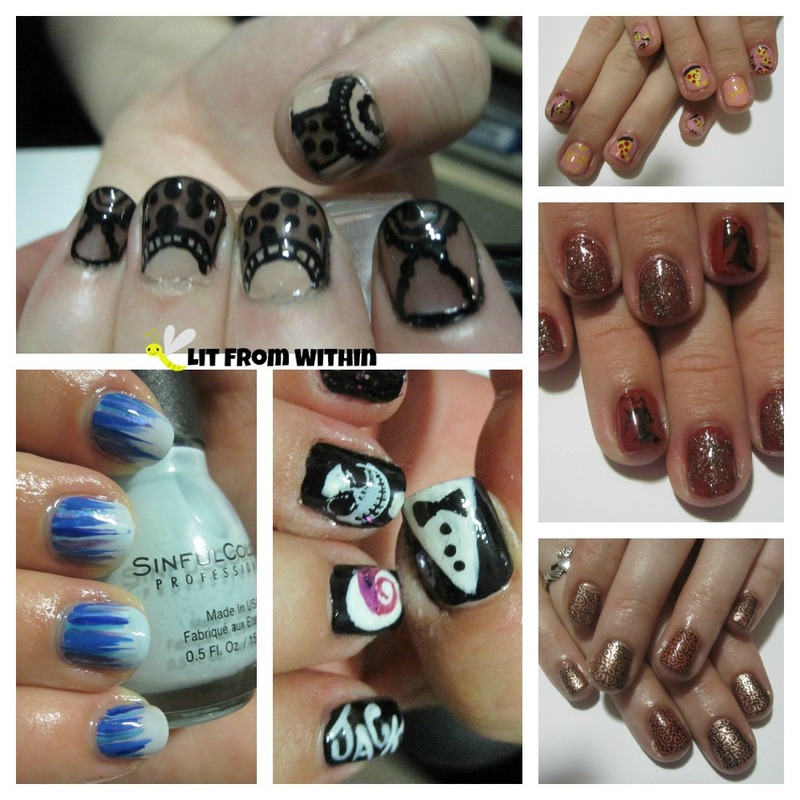 It's time for another Challenge Your Nail Art challenge. This one runs through 2/15, and is all about love, love, love. Well, today, I want to share with you one of the nail art techniques that I love, not only for how pretty it looks, and the many variations you can create, but also because anybody can do it: The Dotticure. Product received for review. All opinions are my own. I don't usually have chapped lips, but this winter has been a banner year for chapped lips for me. I am constantly wearing something. I love my balms, my EOS, my Teadora, my Fresh Sugar.. but sometimes, I want a little tint, too. 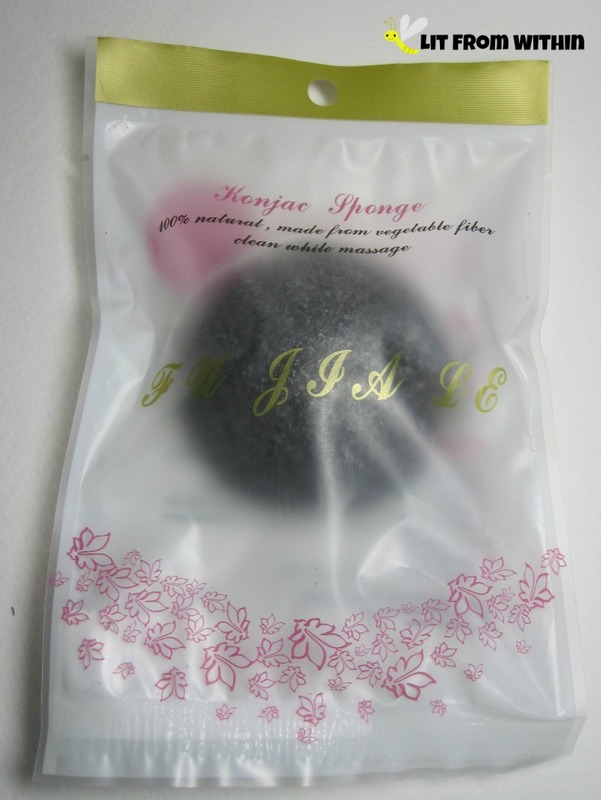 I've got another konjac sponge review today. I can't help it. 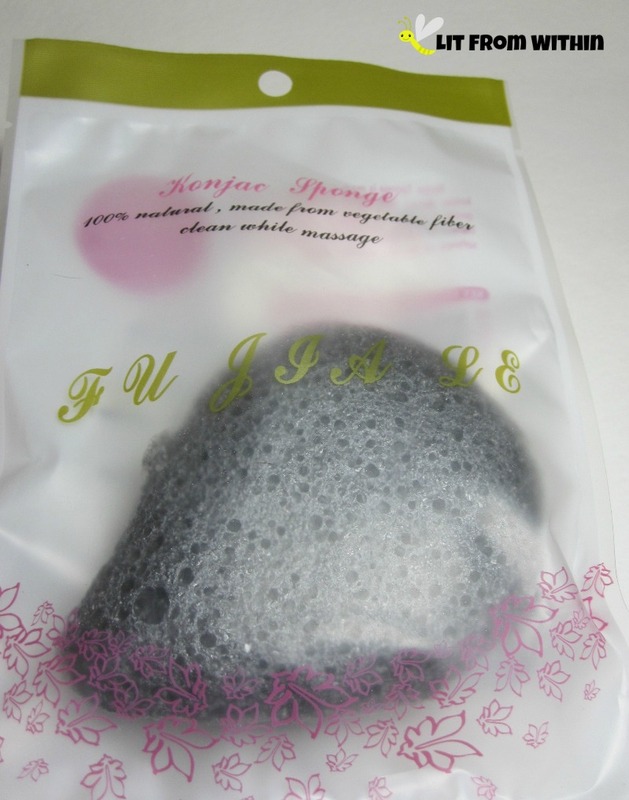 Once I tried one, I wanted to try ALL the konjacs. 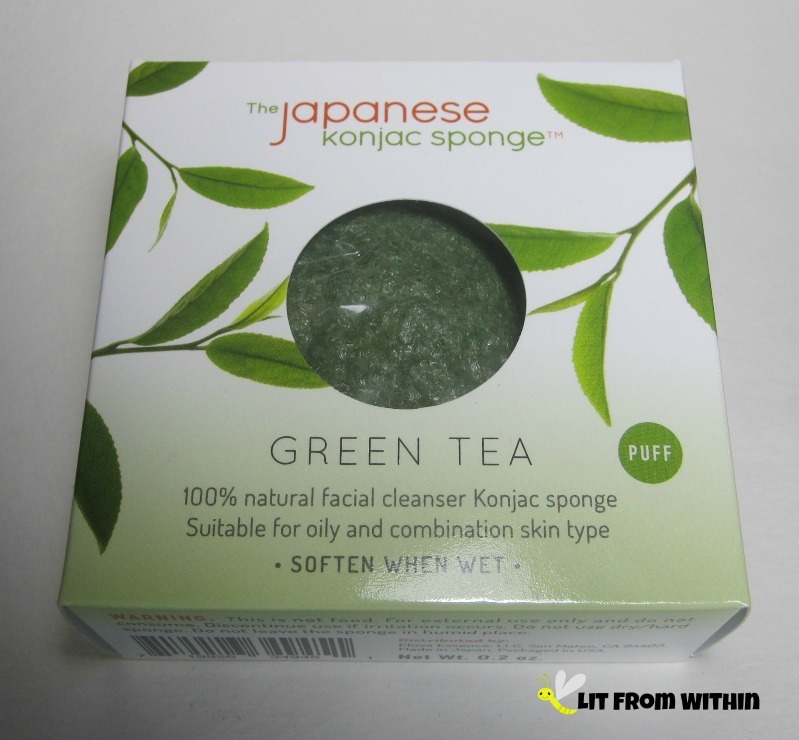 This one, from The Japanese Konjac Sponge is infused with Green Tea which gives it the subtle but distinct smell of matcha green tea, which I love. 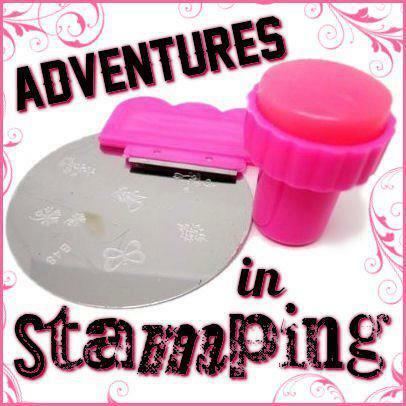 Today's Adventures In Stamping challenge is to celebrate Valentines' Day. I like flowers and chocolates as much (or more) than most, but I like them better the day after Valentines' Day, when they're cheaper. I do like breaking out all the hearts and flowers nail art, though! Isn't this blue gorgeous? It's actually a little deeper in color and so beautifully shiny and jellied in person. 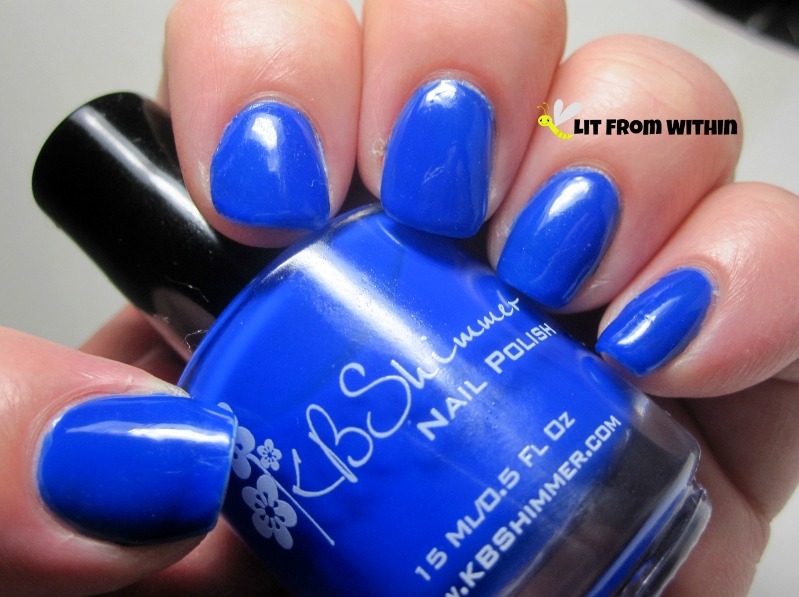 It's KB Shimmer Low And Be Bold, a cobalt blue-lovers dream. Though absolutely gorgeous on its own, I decided to see how the color was transformed by using the new (and not LE!) Transforming Effects topcoats from Revlon. I've decided to try ALL the konjacs! Well, ok, not all. But I have a new one today, and a few more down the pipe. I reviewed a white one from Pure Sol here, and a red one from Oleavine Beauty here. Today, a black one from Milagrous Beauty! I love nail art, and am lucky enough to have some friends who also love nailart, too. Today, I've gone back into the vault and pulled out some looks that I have done on my friends' nails! For someone like me who isn't a nail tech and is used to the shape and angles of my own nails, it can be a fun challenge to adapt to another person's nails. 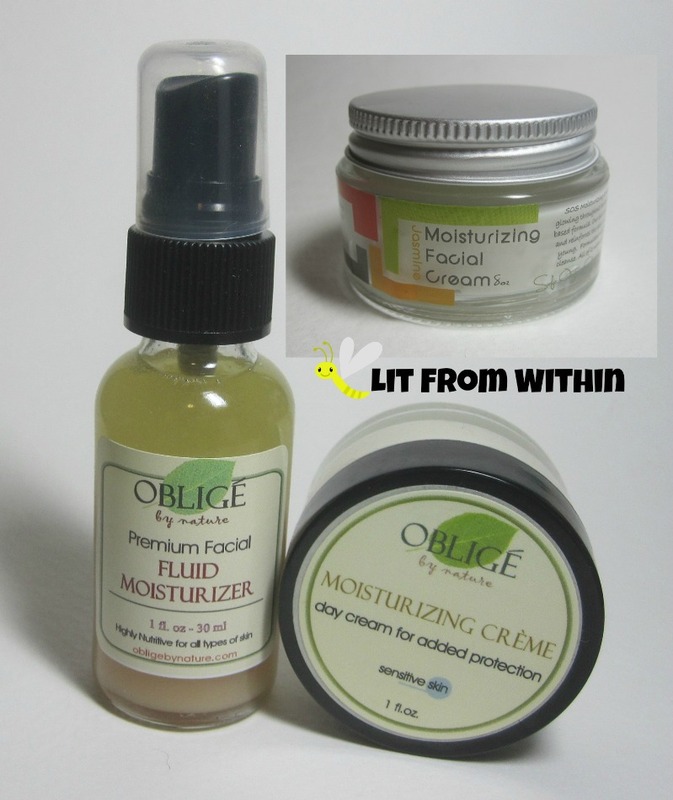 A while ago, I reviewed this French Rose Clay mask from Oblige by Nature. 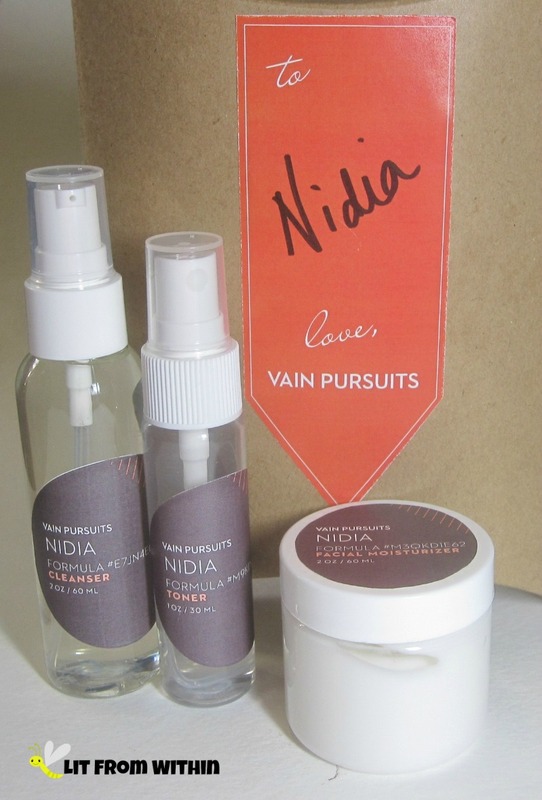 Their parent company, Naprodis, also sent me some really interesting moisturizers to try out. One I loved, one was different from anything I'd ever tried, and one didn't work out for me, but for a weird reason. I don't always follow the beauty 'rules' but I'm not mad about mattes being in vogue again, especially since us older ladies aren't supposed to wear too much of the shiny and glittery on our sagging eyelids. 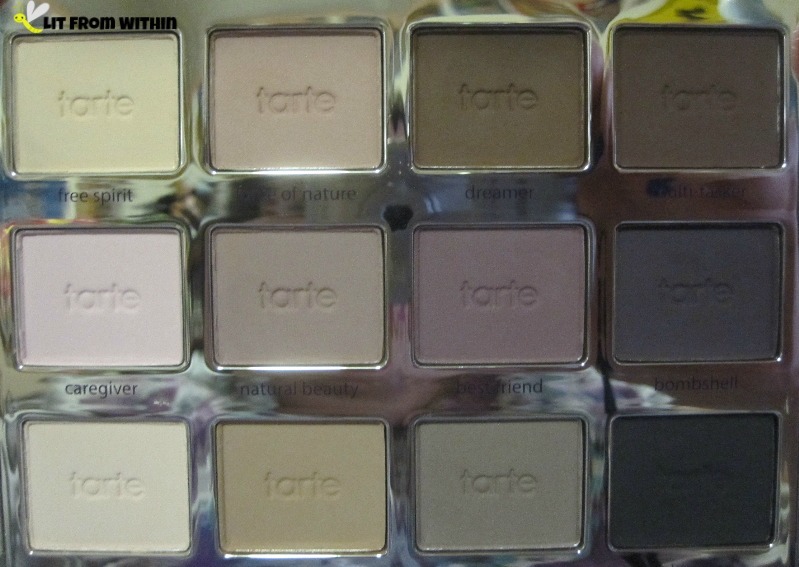 Well, tomorrow's another day, but for today, I'm going matte with the amazing Tarte Tartlette palette! Today's Adventures in Stamping challenge was to use pink and black. I've been gearing up to do some Valentines' Day manis, and thought this might be a great opportunity to do a 'broken heart' one with these colors.